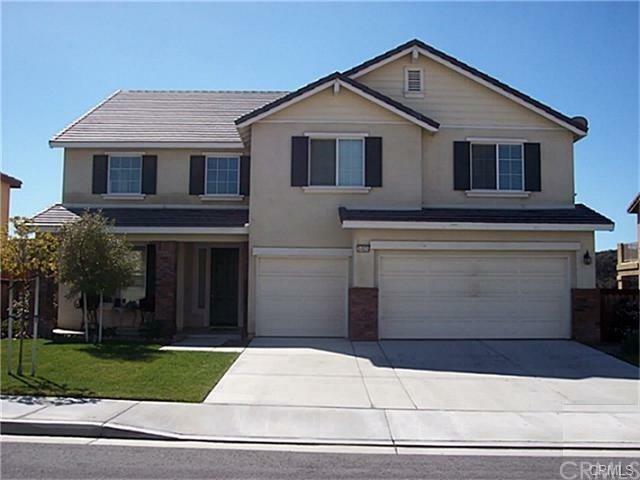 34925 Middlecoff Court, Beaumont, CA 92223 (#IV18163329) :: Ardent Real Estate Group, Inc.
Views, Views, Views!!! Spectacular 6 bedroom, 5 bathrooms hill side home offers 3,830 sf spacious living. Home is located on a Cul-de-Sac street. Living room, formal dining, family room, laundry room, tech area and converted bonus room with its private bathroom. A downstairs bedroom and bathroom is always a plus. Gourmet kitchen has a granite kitchen island countertops, maple cabinets, pantry, stainless steel appliances, under cabinet lighting, & butler's storage. Wide open views in the backyard features balcony, view fencing and concrete patio. 2 separate air conditioner units and ceiling fans throughout the house. Open staircase, recessed lighting, tile entry, large baseboard molding and many other features. Large Master bathroom includes double sinks, large tub and a separate shower enclosure. Huge walk-in closet and sliding glass door opens up to the viewing balcony. Fairway Canyon HOA features community clubhouse, 2 pools, workout room/gym, local parks. Come soon to enjoy your spacious view home. Available 2/13/2019.